Milwaukee Weld Fixture Specialists Travel 200 Miles To Deliver Custom Steel Shim Order. The President and Founder of Rentapen Inc., a small machine design and build services company and manufacturer of weld fixture tooling components, drove from Waukesha, WI to Iowa to deliver precision shims to their customer. On June 6, 2013 Rentapen Inc. received a large purchase order of metal shims to be cut and delivered by June 10, 2013 from a company that they have been doing business with for many years. 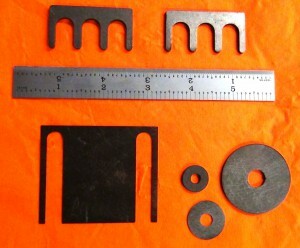 The machine tool and engineering design company is using the shims for a weld tooling and machine leveling project. Laser Cut Steel Shim Sheet. The order consisted of 96 metal shim packs for a total of 480 total shims. This work order was completed in less than 24 hours by Rentapen’s excellent team including Laser Operators and assembly workers. 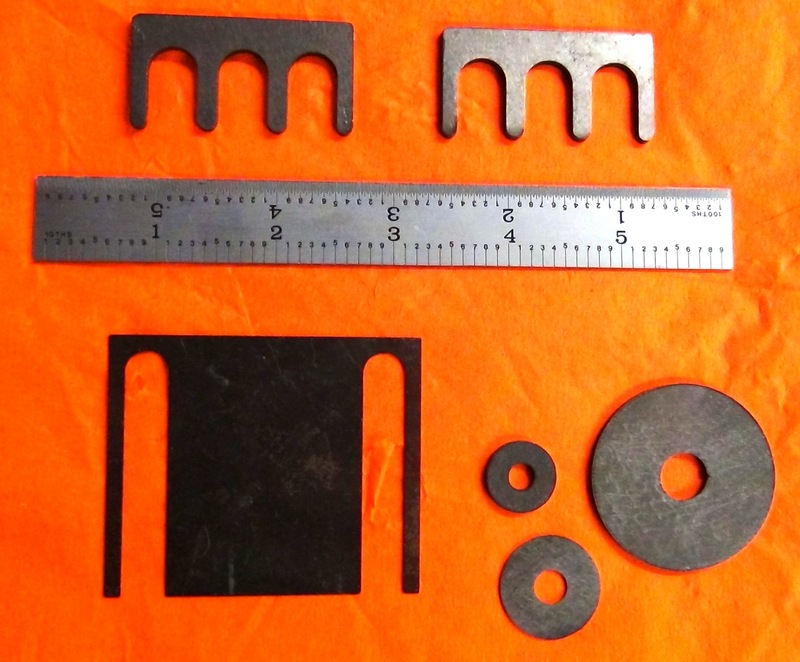 Rentapen’s steel shims can be designed and cut into many different shapes and thicknesses. “Our culture state says that we go the extra mile. Well sometimes we have to go more than a mile to fulfill the needs of our customers,” said President Susan Straley. Rentapen RAPid Shims™ are often used for adjustability in weld fixtures, and work holding fixtures. Rentapen Inc. also to cuts Die Sharpening Shims, bridge shims custom shaped shims, stainless steel, steel and Naams shaped shims. Rentapen Inc. has been in business since 1976 and is known in the industry as “the Shim King”. Iowa machine tool design company relies on Rentapen Inc. for all their steel shim needs. Rentapen Inc. cuts hundreds of thousands of shims each year and each order is different. They use their RAPid Order Processing System™ to quote, cut, and ship their shims faster than most companies can even get out a quote. Rentapen Inc., is the Weld Fixture Specialist and The Shim King, and is home of RAPid Tooling Components. Rentapen Inc, located in Waukesha, WI, has been providing machine tool design services to manufactures since 1976. Rentapen is a Certified Woman Owned Business and owner of RAPid Tooling Components™. For more information about Rentapen Inc., please call 262-542-8891. Visit Renatpen’s Order 3D Model page to download your RAPid Tooling Components today! Rentapen Inc., Located In Waukesha, WI Is Dedicated To Hiring CAD Drafters, Weld Fixture Machinist and Employees of All Ages. 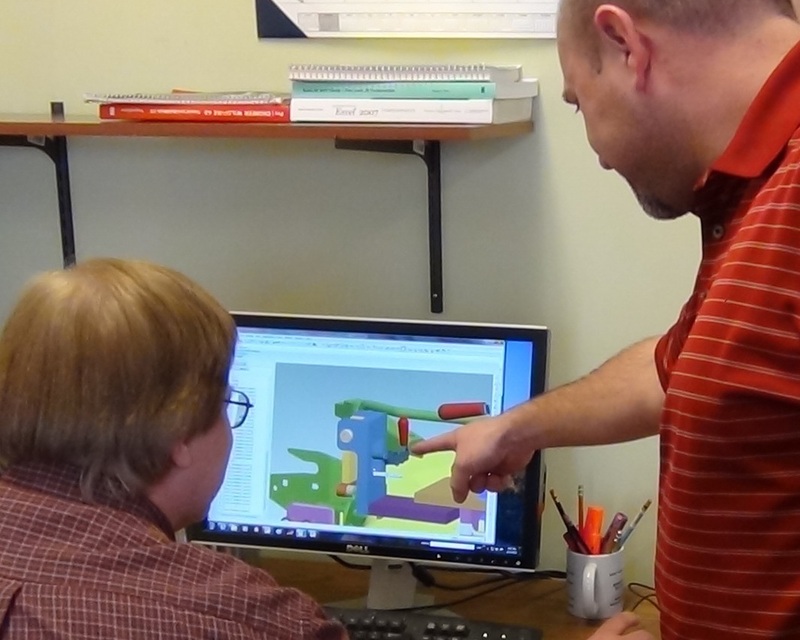 On January 29, 2013 Rentapen Inc. filled a CAD Drafter Internship position with a young and experienced student from Waukesha County Technical College. He is joining a CAD Drafting team made up of men and women of all ages. Christopher Doll, has been a part of Rentapen Inc.’s, team since 2005 and is the Engineering Lead Designer and has a Masters of Science in Engineering from University-Wisconsin Milwaukee. 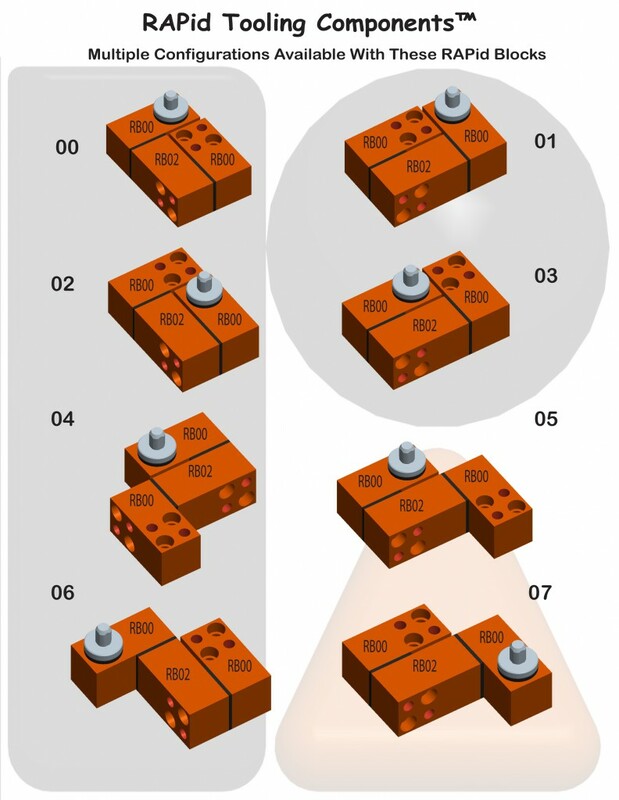 According to The Social Liberian “There are eight different age generation categories.” Rentapen Inc. the Weld Fixture Specialist, is currently employing four different age generations. This local Waukesha, WI, company is employing generations as young as Generation Y (Born: 1977-1994) and as experienced as the Baby Boomer I Generation (Born: 1946-1954). Rentapen Inc., has been in business since August 20, 1976 and has been able to stay in business through many different generations, but there is one key piece that holds this company together; they are excepting of all ages and are willing to teach their employees. Have you ever heard the saying “You can’t teach an old dog new tricks,” in the case with Rentapen Inc. you can. Every day the younger and older generations work side by side to reach a common goal; to build, design, and create the best weld fixture components in the manufacturing industry. There are many conflicts in the manufacturing industry when it comes to generation differences. Like any business today, conflicts can come from recruiting, building teams, the many different changes in a company, and different styles of management. However, Rentapen Inc., is embracing the generations and changes; in their industry change is a good thing because it allows for growth, efficiencies, and cost savings. The weld fixture specialist is excited for the growth of their line of RAPid Tooling Components™. 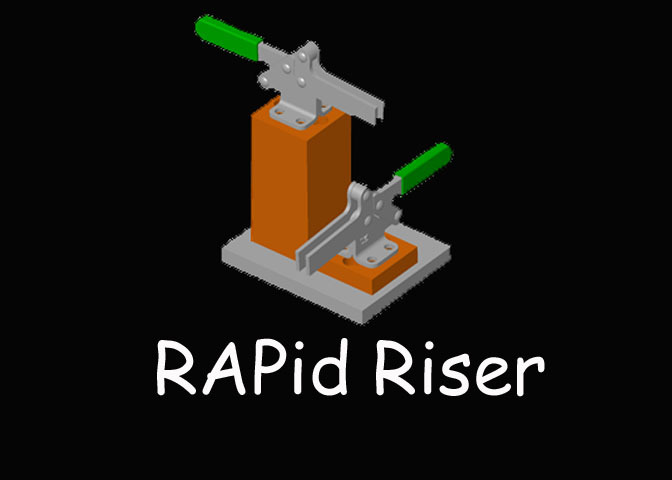 With the different generations working together there has been an increase in the orders for RAPid Shims™ and the CAD Drafters in the office are busier than ever. Rentapen Inc., is a Waukesha, Wisconsin based company that provides Weld Fixtures and 3D CAD models to manufacturers. Since 1976, Rentapen Inc has consistently saved customers time and money. 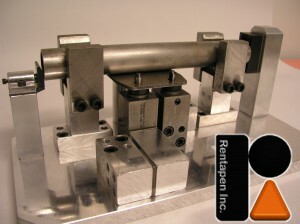 Rentapen Inc., is a Certified Woman Owned Business and owns RAPid Tooling Components™. For more information Rentapen Inc., please call 262-542-8891 or visit www.rentapen.com. Weld Tooling Company Helps Educate Engineering Students and Machine Designers About Adjustability. >Rentapen, Weld Fixture Components Manufacturer, Provides Lessons in Machine Design Using Videos and Youtube. The lesson is part of the on-going tutorials put out to help prepare CAD Drafting students and new engineers on the art and science of Weld and Assembly Fixture Design. 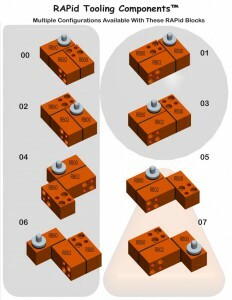 A fixture is used to hold product parts in place in the factory while they are being manually or robotically welded or assembled. Rentapen’s President and Queen of Lean Machine Design, Susan Straley, has created a Weld Fixture Design Blog and posts bi-weekly educational and helpful information for individuals in the Manufacturing Industry. Rentapen has created a series of videos and instructions on best practices. 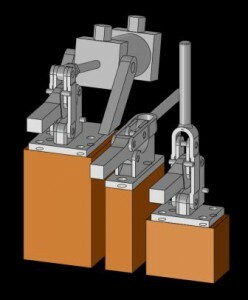 This latest Weld Fixture Design Blog addressed 3-way adjustability with weld fixtures that corresponds with the latest video that has been released on Youtube and on their website. Visitors to the blog will find a plethora of different categories on the Weld Fixture Design 101 page. Some common categories that Staley blogs about are locating pins, metal shims, machine design, fasteners and RAPid Tooling Components™. There are over 50 different videos that a subscriber may choose from when viewing Rentapen’s Youtube channel. 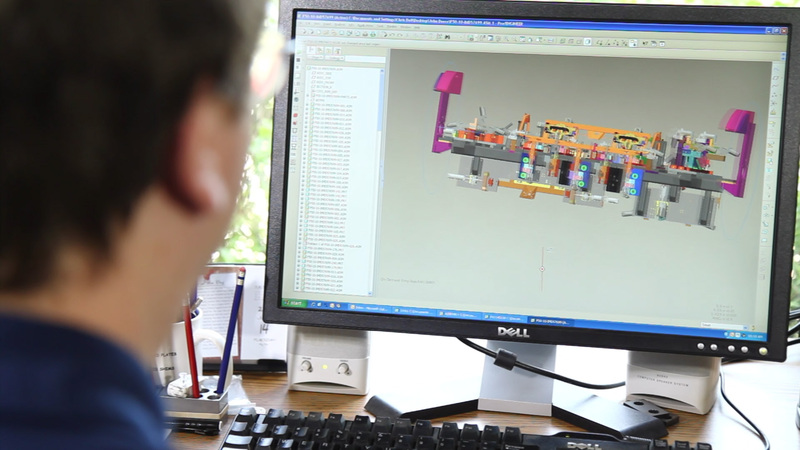 Most of the videos are designed to inform the viewer and will educate the viewer on how to design or use purchased tooling components. “I am pleased that George, who has been designing machines for over 36 years, agreed to be a part of this lesson. He does a great job explaining why Machine Design Engineers should consider including adjustability in their weld fixture designs,” said Susan Straley, President of Rentapen. Rentapen is a Wisconsin Certified Woman-Owned Business Enterprise that has been designing machine tools for over 36 years. The Milwaukee area company was voted a Top 10 Business in Waukesha County. Rentapen Featured in December Issue of Welding Journal For “Green” Practices. Rentapen Inc., a manufacturer of Weld Tooling Components, has been recognized by the American Welding Society (AWS) for being a “Green” company. On December 3, 2012 the Welding Journal produced a five page article in its magazine entitled “For Weld Tooling Design Company Being Green Is Second Nature.” The article can be found on pages 32-36 of the magazine. Rentapen designs and builds weld fixtures and is the home of RAPid Tooling Components™. These tooling components are products that Rentapen developed to help engineers and manufacturers save time in the design and build of weld fixtures. Rentapen manufactures these metal shims, locating plates, and clamp risers at its plant in Waukesha, WI. Rentapen has been a “green” company for over twenty years. In the early 1990’s Rentapen’s President, Susan Straley and Vice President George Straley, became part of a Household ECO Team program. Rentapen’s Owners were reducing, reusing and recycling long before Wisconsin took action and made recycling a state law. Rentapen not only recycles in their shop, they also recycle and reuse in their office too. Rentapen does not buy paper towels; they use cloth rags in all areas of the office and shop. Also, in every room at Rentapen there are separate bins for recycling and for garbage. “I am very proud of this recognition. George and I have been advocates for protecting the environment and reducing waste for a long time,” said Susan Straley, President and Owner of Rentapen. The shop team is also conservative and mindful of waste. They first consider the boxes of discarded material before going to the inventory of new material to build new tooling components and metal shims. All the paper in the recycle bins located in Rentapen’s office is shredded and used as material for shipping. Employees are encouraged to bring in their old newspapers for use as packing material. Recycling makes good business sense for Rentapen. In the first 9 months of 2012 Rentapen received over $3,500 back for recycling their metal waste. The article can be found on the American Welding Society (AWS) website, under the December Issue. AWS was founded in 1919 as a multifaceted, nonprofit organization. The main goal of the organization was to help the advancement in science, technology and applications in welding. The website provides thousands of articles related to the field of welding and will benefit instructors, students, and individuals already in the field. Rentapen Gets Big Views of Educational Video to Teach Machine Tool Design, Weld Jig and Assembly Fixture Design to Mechanical Engineering Students and CAD Drafters. Rentapen Inc., Weld Fixture Specialists, located in Waukesha, WI, produced and published an educational video for CAD Drafters, Engineering Students, and Manufacturing Engineering Managers that has received over 3,100 views on youtube. 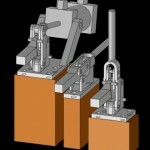 On September 25, 2011 Rentapen Inc., produced a video demonstrating Weld Fixture Design. Since the video was released it has been viewed over 3,100 times. This 6.5 minute video is one of the top viewed videos on youtube when searching for Weld Fixture Design. There are 46 other videos that Rentapen has developed and placed on youtube and the website that are for educational purposes. 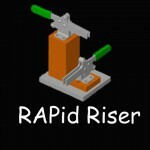 RAPid Shims™ and RAPid Blocks™ company that takes pride in educating their customers and students in the industry. Engineers and students of Engineering and Machine Tool Design can sign up to be notified every time a new blog is posted by signing up for Education and Updates on the Rentapen website. However, if you just want to see any new videos, subscribe to Rentapen’s Youtube Channel. creating 3-way adjustments with RAPid Shims™ and RAPid Blocks™. On November 14, 2012 Rentapen Inc., launched a new page on the Rentapen website introducing 3-way adjustability for RAPid Shims™ and RAPid Blocks™ under the Shims menu dropdown. These RAPid Tooling Components™ help Engineers save time and also saves time in the machine tool build process. location. When in the right location, the final welded product meets product’s tolerance specifications. Rentapen’s RAPid Shims™ are created with precision sheet metal for fine adjustment of the fixture before welding begins. The RAPid Blocks™ are created with counter-bored hole on both sides for design versatility. “We knew our RAPid Blocks were versatile, but we were surprised to learn there are actually 32 different ways to position the blocks along with shims to create the 3-way adjustment that is often needed in a precision weld fixture,” said Susan Straley, President and Owner of Rentapen. In the next few weeks Rentapen Inc., will be producing a “How To” video displaying how 3-way adjustability can be used. There will be a series of blogs coming out that can be found on the Weld Fixture Design 101 web page that will help describe how to use these tooling components in detail. “I just posted a blog talking about our standard tolerance on locating pins and the ways to use our RAPid Blocks with shims to create 3-way adjustment in weld and assembly fixtures,” said Straley.